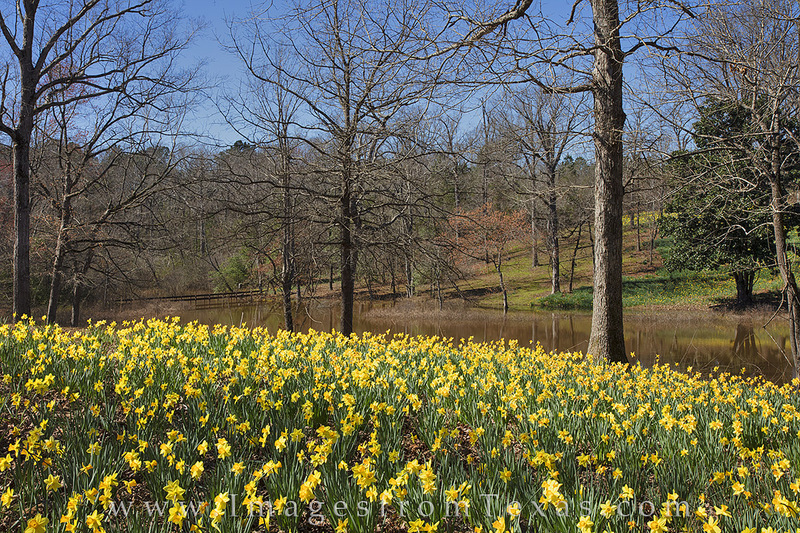 Each February near Gladewater, Texas (near Tyler) daffodils bloom for about 2 weeks. The wildflowers don’t last long but in their prime they are a sight to see. This 4 mile dirt road is private, but the ranch manager opens it up for two weeks so folks can enjoy the daffodils, a tribute to Helen Lee and the Helen Lee Foundation. Photo © copyright by Rob Greebon.